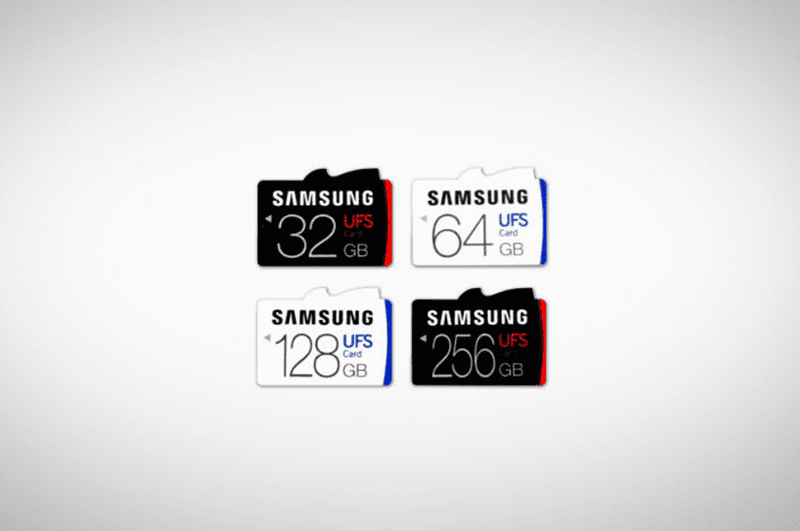 Samsung Revealed Super Fast Removable UFS Memory Cards, To Replace Micro SD Cards Soon? Home / accessories / news / samsung / Samsung Revealed Super Fast Removable UFS Memory Cards, To Replace Micro SD Cards Soon? In a press release, Samsung Electronics, unveiled today the industry's first removable JEDEC Universal Flash Storage (UFS) 1.0 Card Extension standard. It'll be great for high-resolution shooting devices such as DSLRs, 3D VR cameras, action cams, and drones. It comes in a wide range of storage capacities including 256, 128, 64, and 32 GB of storage. It could also be great for anything that needs speedy memory cards which can also improve 3D gaming, and high resolution video and audio playback. It has 5x the normal speed compared with regular micro SD cards, has a reading speed of 530 MB/s, give the ability to read 5 GB FHD movie in 10 seconds, and 20 times higher random read performance against typical micro SDD slots. Samsung also stated that to achieve the highest performance and most power-efficient data transport, the UFS card supports multiple commands with command queuing features and enables simultaneous reading and writing through the use of separately dedicated paths, doubling throughput. As a result, they were able to make the fastest ultra compact storage cards in the world. Overall, everything that Samsung stated is truly impressive. The only question left hanging is its pricing, Samsung hasn't announced anything about it though. Just don't hope that it'll come cheap.